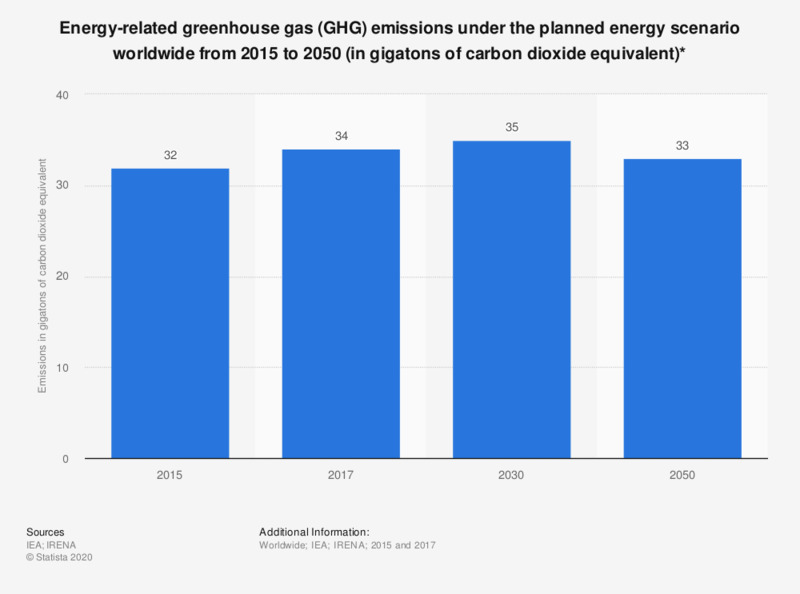 This statistic gives outlook figures on the amount of energy-related greenhouse gas emissions produced globally from 2014 to 2030. It is estimated that around 38.4 gigatons of carbon dioxide equivalent will be emitted in 2030. * The figures from 2020 to 2030 are projections.